I found this on my Facebook page from back in the fall. I’m finally starting to laugh about it so, I thought I’d repost it here. Beautiful day – sunroof open – left open at lunch to keep car cool. Left for work & drove a little ways down College St. when a killer squirrel jumped from the back seat up the passenger door. I screamed like an alley cat in mating season which sent the dang squirrel doing 360s all around my car. I stripped my gears & looked like a cat thrown into a bathtub trying to get out of my car. Some poor man was walking his dog down the sidewalk & started yelling “what’s wrong?” I’m in tears yelling “Squirrel! Squirrel!” (Hopefully that’s all I was yelling, I’m not really sure). He opened my doors for me & it shot out like a cannonball. Then, his dog went bizerk & chased the squirrel. He’s my hero and I don’t know his name. Hopefully, I didn’t give him a heart attack! I’m just sayin – if that squirrel had jumped on my head, that poor man woulda smelled the smell of something smelly! Let’s face it life is hard. There are so many bumps in the road and crashes that we just never saw coming. Yet, life is also beautiful and exciting. It’s an adventure. A popular hashtag going around is #abeautifulmess. A beautiful mess – that sums up my life pretty well! I believe what sets apart our lives as being beautiful or being a mess is what we focus on. We can dwell on the misery and unfairness of life or be grateful for the good things – and the bad. The Bible tells us to be thankful for ALL things. Sometimes what we see as bad is God pushing us into a different direction. Sometimes the pain is God remolding and teaching us for something in His grand scheme for our life. January–pretty much a dull month for which I’m always grateful for after a way too busy fall and Christmas. So nice to have some down time and refocus. We also celebrate Ron’s birthday on the 27th and I take great delight in reminding him he’s older than me! I am truly thankful for his life and the Godly man he has grown to be. Since not much goes on this month let me say that I am thankful I have children to clean up after. food to cook, clothes to wash, etc. It’s easy to feel like a slave some days. I don’t understand why when we have so much to pick up. J.B. was also inducted into Tri-M Honor Band and we celebrated Jon Garrett’s 10th birthday. What a joy all my children are! March — We remodeled a home which ended up being almost a new build. The deeper we got in the more we saw needed to be done. In March, it was finally completed! We were able to move in giving us much more room and a feeling of “home”. 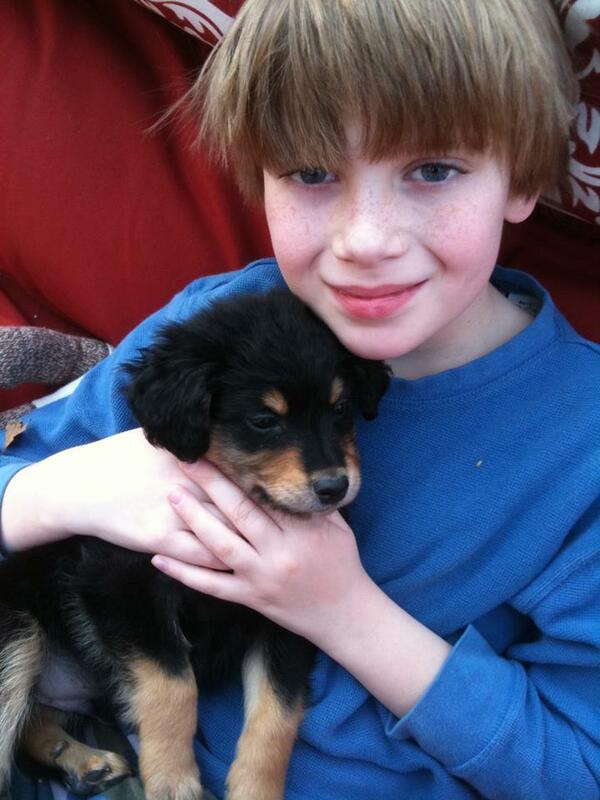 We got Dingo, an English Shepherd, for Jon Garrett’s birthday. Still trying to determine if that is a blessing or not! We went to several Winter Jam’s which the boys always enjoy. Ron was test driving a new to me car for us. We took some friends to dinner in it and Ron broke a piece off the air conditioner vent while wildly telling a story driving down the road. I now own an Acadia. 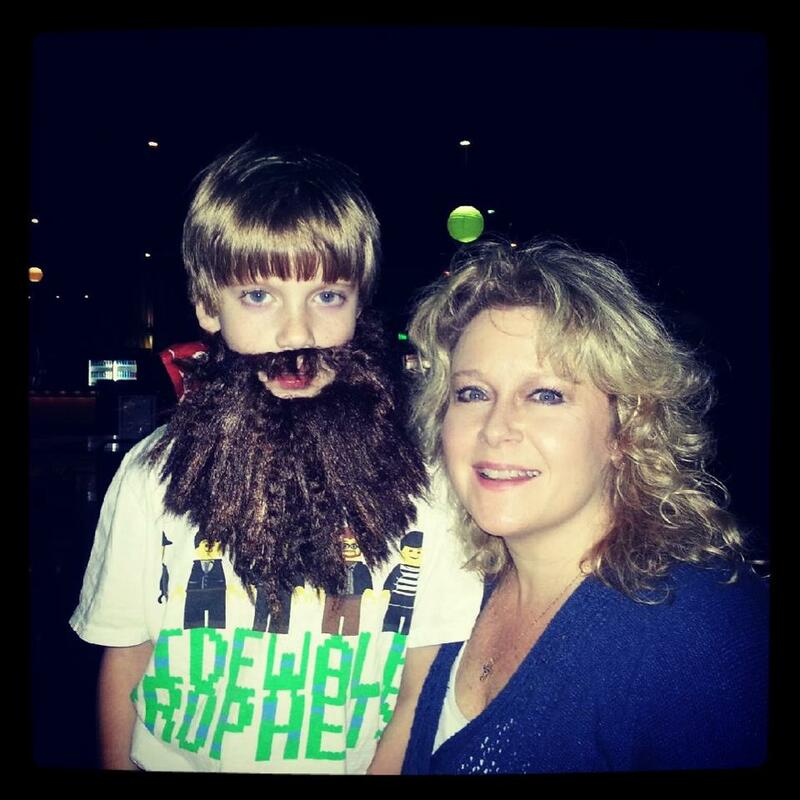 April– We went to a David Crowder concert in Memphis. He’s a bearded fellow. Jon Garrett wore his duck dynasty beard. I asked, “Are you going as David Crowder?” Jon Garrett who is a HUGE Sidewalk Prophet fan and happened to also be wearing their shirt to the Crowder concert said, “No. I’m Ben.” (Ben McDonald from Sidewalk also bearded fellow). We opened the pool. It was very very cold and yet my kids swam in it every day. May: This was a very difficult month, but one of my favorite stories of the year came from it. My friend, Greg Mitchell, has ministry of bringing Christian bands in. He usually gets me to cook for everyone. 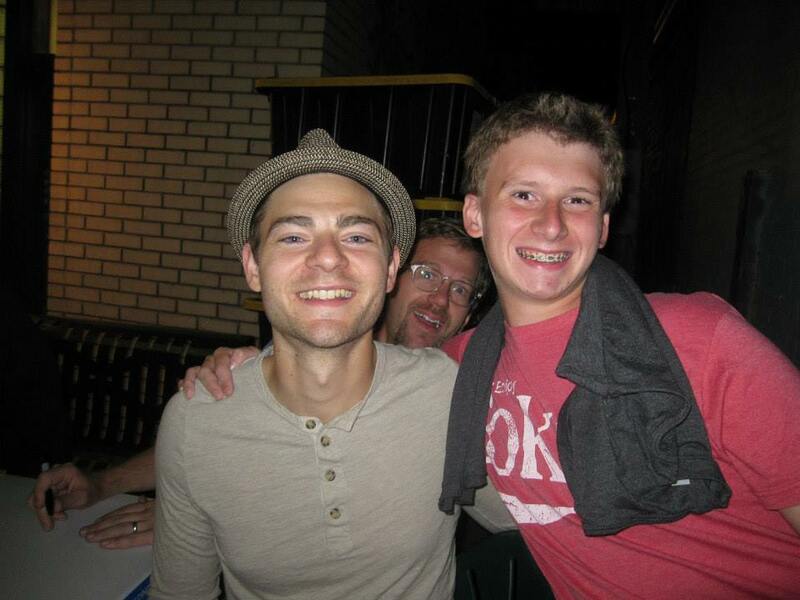 This month he was bringing in Sidewalk Prophets and Jason Castro. This was the first time I “got” to do breakfast, lunch and supper. I am not a morning person at all. It was an emotionally difficult week and I just wanted to not get out of bed, but life goes on and this is a ministry. So, Wednesday night my friend Jenifer and I went down to the church and set up everything for an easy morning. Got home around 11:00 p.m. and decided to go ahead and make the salads for lunch since there is such a crunch time between breakfast and lunch. Got in bed at 1:00 and up at 5:00. It’s go time! Huge spread of food. I’m satisfied with my efforts. Greg then tells me they are running an hour behind. No problem. Coulda slept in, but no problem. We’ll just keep it warm. Later, Greg sends me a text that says, “They ate 10 minutes out.” Okay. This is where I lose my mind. I’m exhausted. I’m friends with all of them. They knew I was doing this. They have my cell number. WHAT THE HECK??? I’m pretty sure I could have gotten in the baptismal at Sharon Baptist and turned it into a hot tub. I yelled at the volunteers to dig in. Oh I was mad. I marched my self out to find Greg. I don’t know who I wanted to choke. When I found Greg, he couldn’t understand why I was mad. As I angrily told him he said, “Why would they eat 10 minutes out?” Finally, we figure out he meant to text “They ARE 10 minutes out.” One little letter. I turn to see their bus pulling in the driveway. I run – spilling coffee everywhere – yelling “put down the food! put down the food!” I walk in to see JB look at a croissant, look at me, look back at it and put it in his pocket like a starving orphan. In record time, we rearrange food, clean dishes and silverware and hopefully graciously served them. It took me most of the day to like anyone again. My kids still randomly look at me at the dinner table and say, “They ate 10 minutes out” and crack up laughing. Caleb also was confirmed this month. He passed out at the alter giving us all a scare. He was well cared for as 2 doctors, 3 nurses and a veterinarian all ran to the alter to help him. June – We got to go to Minnesota for our nephew’s graduation. So good to see family we haven’t seen in years. We also celebrated our 17th anniversary. We found a delightful new restaurant in Florence and went to an outdoor concert at a park down there. 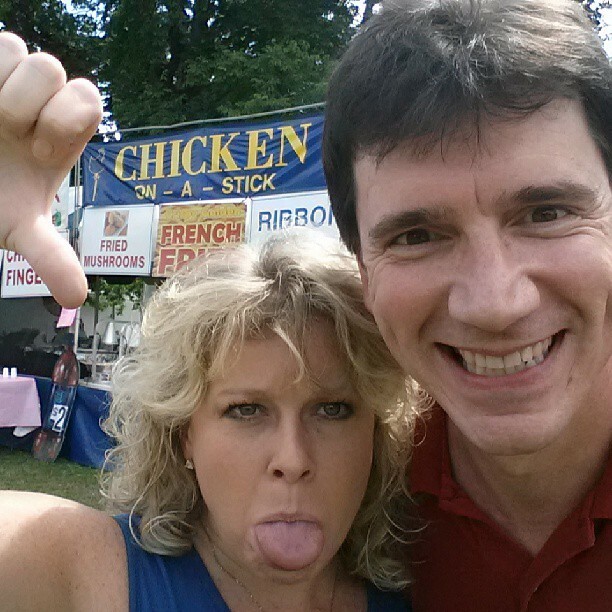 It was delightful except for Ron trying to buy me “Chicken On A Stick” instead of a bonafide dinner. 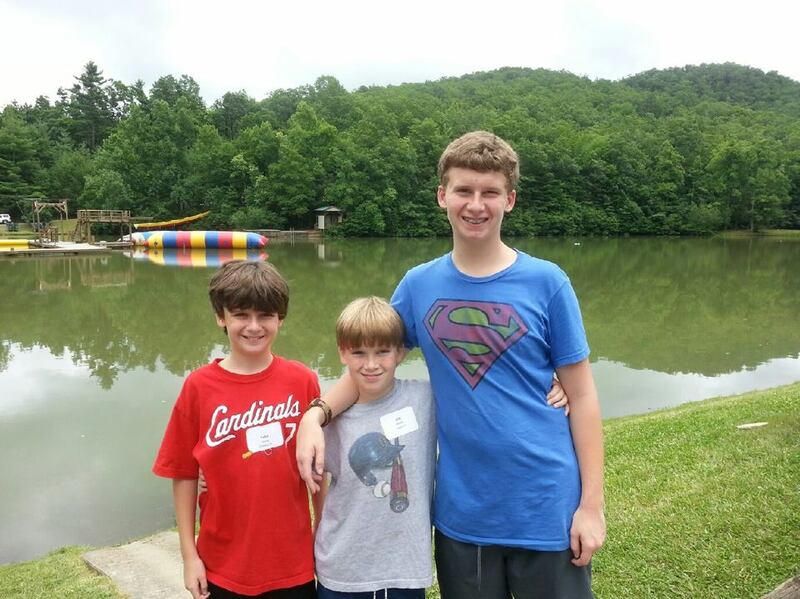 July – Boys went to Camp Ridgecrest and JB was tapped out to take the Little Chief test. Highest honor at camp. August – Mom, JB, Jon Garrett and I went to a Sidewalk Prophet concert in Lawrenceburg, TN and I was able to talk to Matt Hadley for more than just 2 minutes in passing. 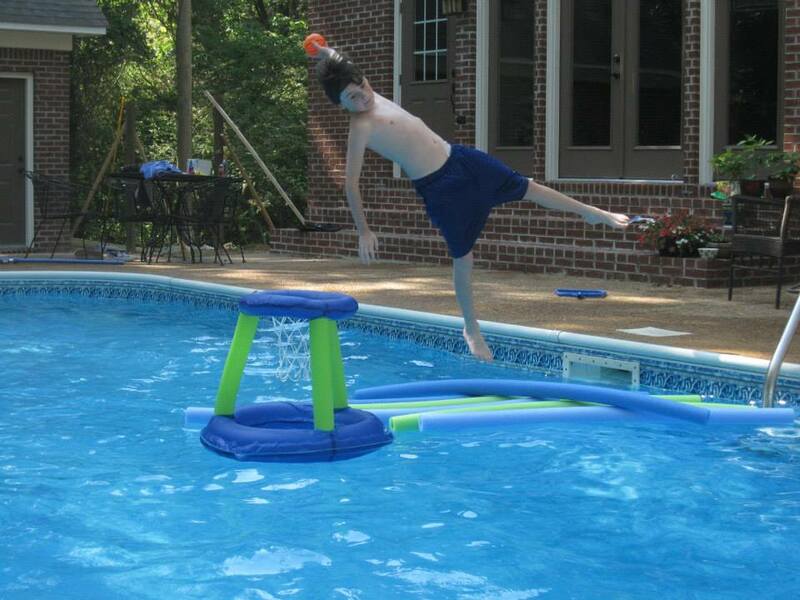 I had ton of kids in my pool from friends, to band camp kids, to youth group. Loved every minute of it! September- Went to Disney once again with Momentum. Dinner with friends there. Harassed the guys from a new group called “Finding Favor” which was quite enjoyable! My dear friends, the Edwards, came for my birthday dinner. Jen brought my cake and we enjoyed on last night around the pool. October – Football is back! Bonfire with Robertson’s, going to Silver Dollar City and riding Outlaw Run, seeing the Garrett’s, and watching JB be one of five Sophomores inducted into National Honor Society. November – We spent this Thanksgiving in Branson. We had lunch at the Keeter Center and went to Silver Dollar City’s Old Time Christmas. Best Thanksgiving we’ve ever had! The day after Thanksgiving we celebrate Christmas Kickoff with our dearest friends in the world. The Broyles and the VonderBruegges are more like family than friends and it is a balm to our souls to be with them. December – JB turned 16. 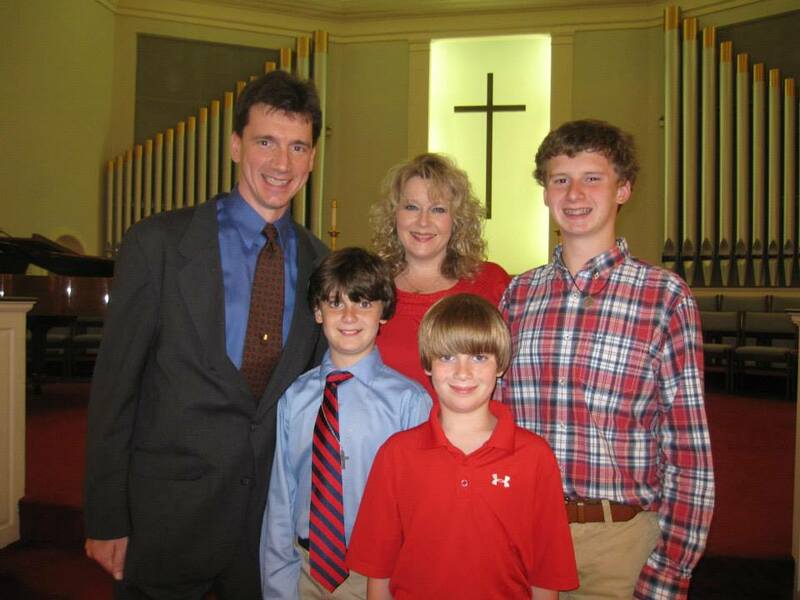 We are so thankful for the Godly young man he has become. He is such a joy and I am blessed to be his mama! Ron also went to Ecuador with Samaritan’s Purse to deliver Christmas presents to orphan’ s through Operation Christmas Child. Thank You Father, for all the gifts you given us. Thank you for blessing both seen and unseen. Thank You that we can trust You even when we don’t understand what’s going on. It Christmas night and I’m bummed. I “missed” Christmas. You see, it kind of sneaked up on me a little this year. I don’t know if it was because Thanksgiving was later in the year or what. I know I’ve about drowned in busyness. There’s work and school and homework and life. We had festivals, concerts, waves of illness, a death, Ron went to Ecuador, parties, shopping, volunteerism, on and on it goes. Every year, we do nightly Advent devotions and attend special church services. I usually do an Advent study for my quiet times. We moved in March and I wasn’t sure what I did with my Advent wreath and didn’t have time to look for it. Once I found it… I don’t know, it just got skipped over this year until a week before Christmas, but even that was sporadic. I’m overwhelmed and exhausted. Instead of running to the One who can give me peace, I collapsed into bed every night only to start the same running all over the next morning. My quiet times were traded for sleep, Church was missed due to illnesses and the Shank family Advent just got lost. Oh I’ve listened to all the Christmas music that proclaim the birth of Jesus, I’ve wrapped the gifts in red and green, I’ve cooked and cleaned and made Christmas treats. I’ve put up the tree, hung the stocking and lit the candles. I didn’t miss Christmas on that account. I just missed the Baby. I was the one this year saying “No room!” Last night, I had some good alone time with the Baby. I went outside in the clear Christmas Eve sky and thought of the birth of my Savior. I listened to Silent Night and felt the holiness surround me. Tonight, I’m thinking of all the people who I asked, “Are you ready for Christmas?” and they replied, “I’m ready for it to be over.” That was always such a sad statement to me. Yet, tonight I understand why they say that. Without knowing Jesus, I’m ready for Christmas to be over. I’m ready for the milking of my wallet to be over. I’m ready to quit running my dishwasher three times a day. I’m ready for all the activities to be over. I’m ready for all the excessive eating to be over. I’m ready for the family drama to be over. I’m ready for the hurtful memories to be over. I’m ready for the greed to be over. I’m ready for the unrealistic expectations to be over. If this is all they know, no wonder they are depressed at Christmas. I’ve had a taste of that hopelessness this year and Bah-humbug! But to know that Baby! Oh the peace! Oh the joy! Oh the love! I’m not ready for Christmas to be over. I’m ready for Christmas to begin! I’m ready to say “Be born in my heart – again and again and again! My Savior is born! Our friend, Shaun Tomczak, tweeted this statement this morning: “God loves you so much that He came down from His throne to be born in an animal barn, setting right what you could never do yourself.” That’s what Christmas is all about Charlie Brown! 🙂 I sit here tonight set free. Sure I still struggle with issues, but because of that Babe laying in the feed trough, I know forgiveness! I know peace. I know hope and mercy and grace… and unconditional love. Don’t let Christmas be over for you tonight. Let it begin.